Close to main line station, schools, amenities and walks. 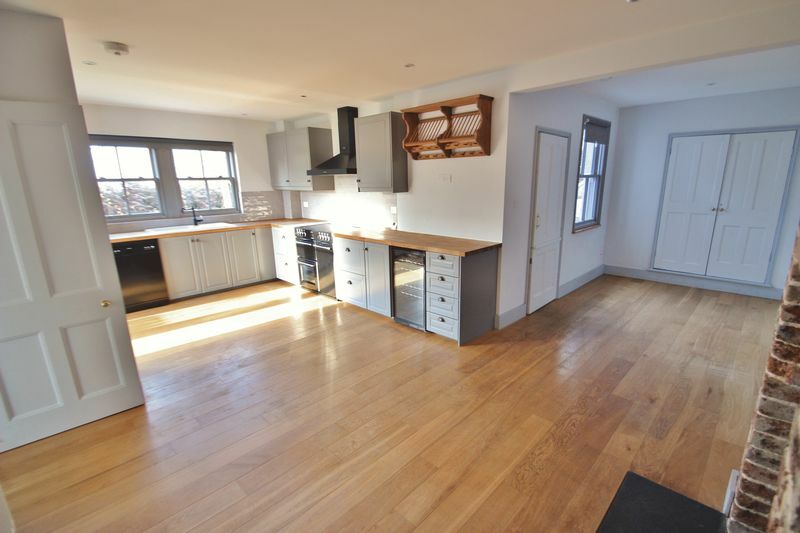 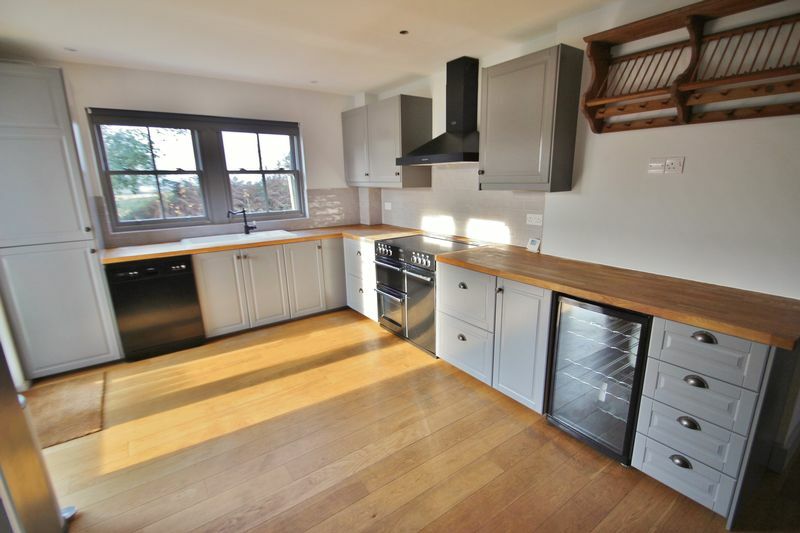 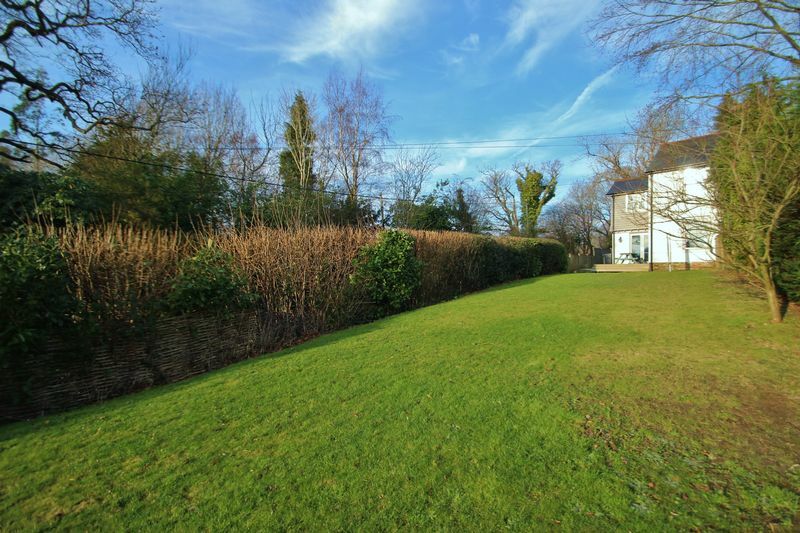 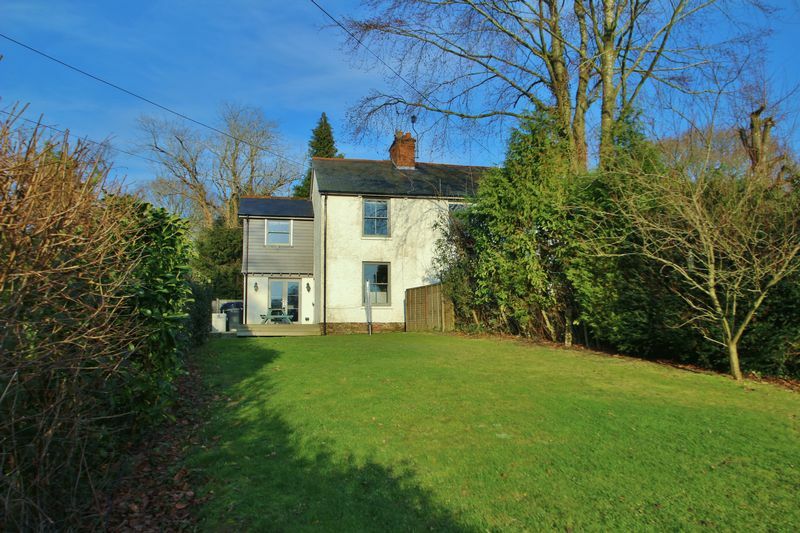 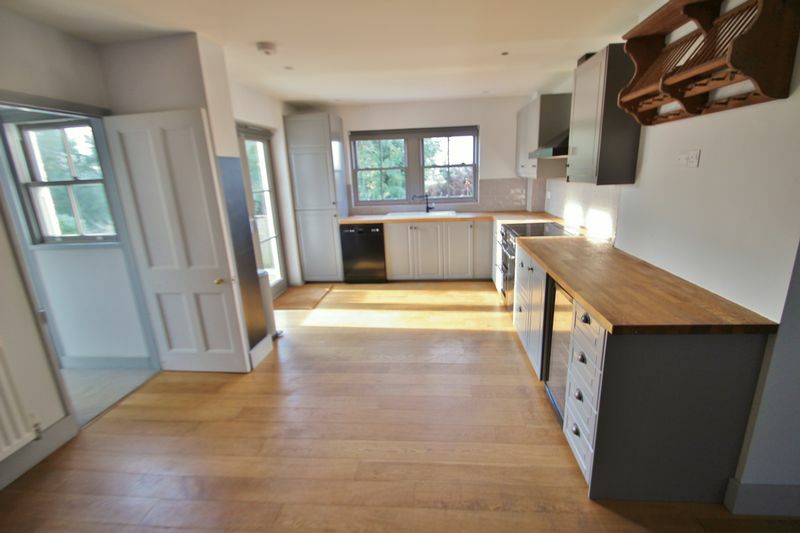 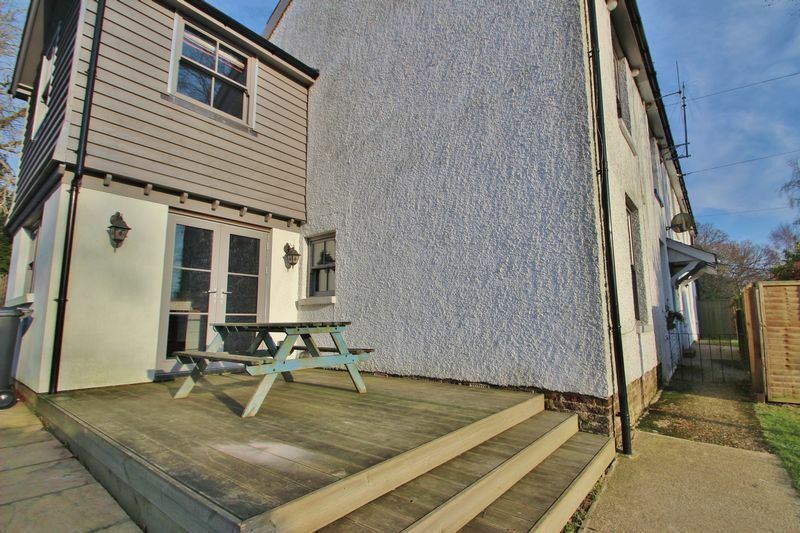 A very attractive and cleverly extended attached cottage, enjoying three double bedrooms, a sumptuous family bathroom, wonderful open plan kitchen/dining/family room, sitting room, gardens, parking and some lovely views. NO CHAIN. 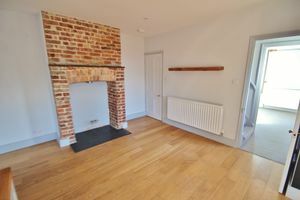 EPC Rating E.
1 Hillside is a charming and exceptionally well presented Period cottage, having been cleverly extended and remodelled by the current owners, with modern fixtures and fittings, an open plan kitchen/dining/family room and sumptuous bathroom, new double glazed sash windows and oil fired central heating system, yet retaining character fireplaces and exposed brickwork. 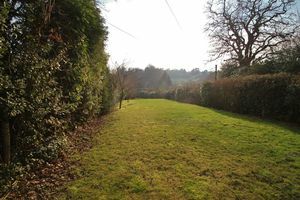 The property also enjoys lovely gardens and off road parking, plus lovely views from all three of the bedrooms. 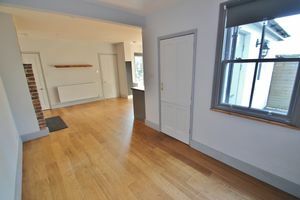 One enters the house from the parking area into a hallway/utility room, with space and plumbing for appliances at one end, plus a window to the front and door to the lovely L shaped open plan space that forms the kitchen/dining/family room, with windows to the side and French doors to the rear garden and decking area off the kitchen, oak flooring, exposed brick chimney with flue, and access to a large storage cupboard to one end. 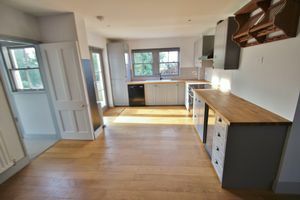 The kitchen comprises a range of grey cupboards and drawers, with oak worktops and a ceramic sink and drainer, integrated fridge/freezer, Belling Range cooker, wine cooler and space for a dishwasher, tiled splash backs and extractor hood. 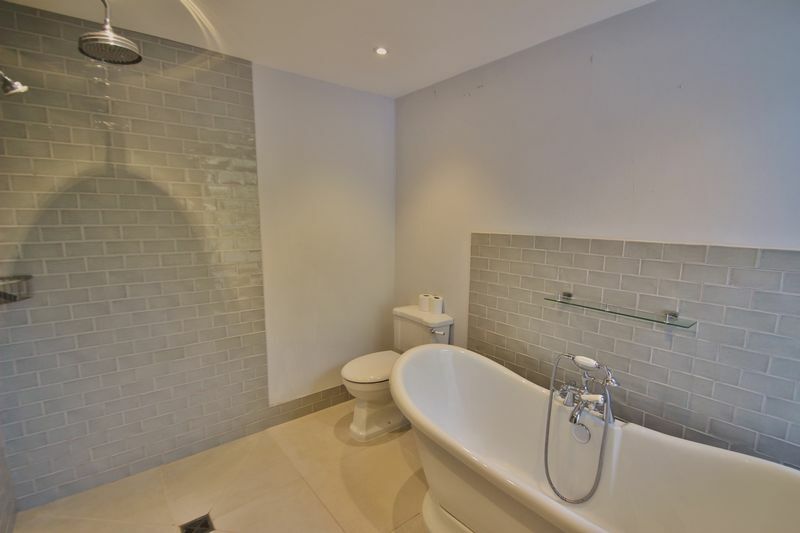 Off this open space is an under-stairs cloakroom, comprising a WC and basin, part tiled walls and flooring. 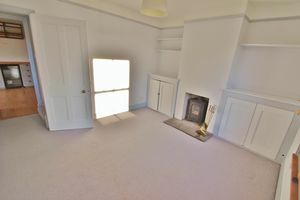 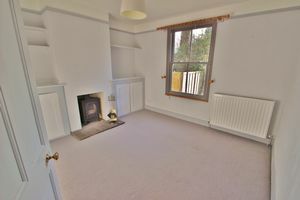 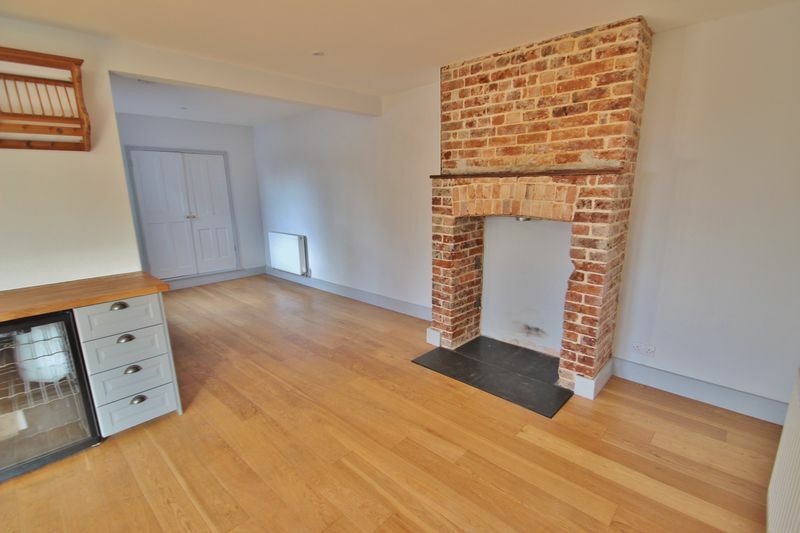 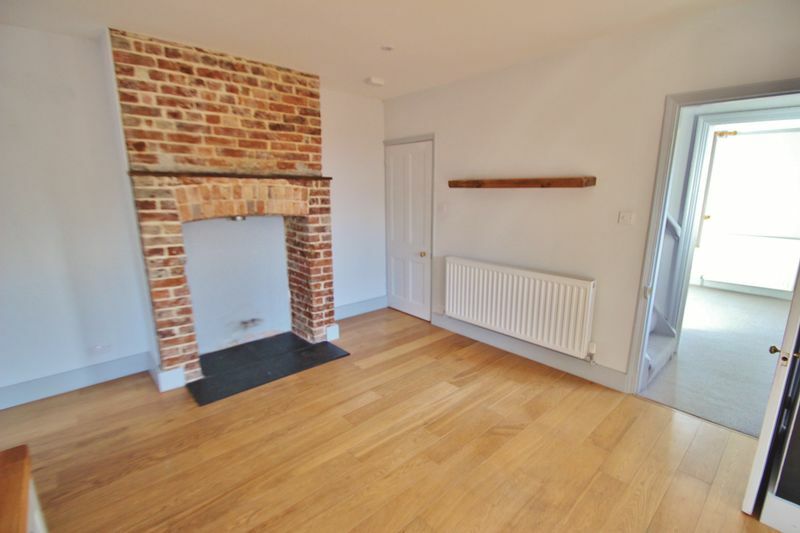 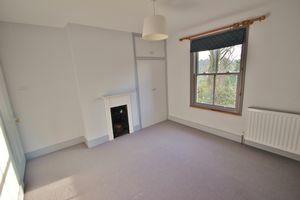 There is also a snug sitting room, with windows overlooking the rear garden, fireplace with a wood burner and space to either side with cupboards and shelves. The first floor provides an open landing with a period fireplace and large shelved cupboard to side. 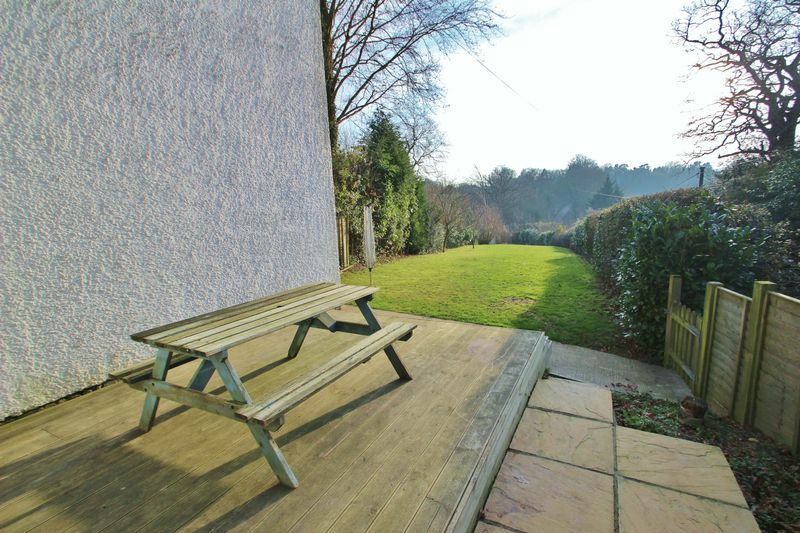 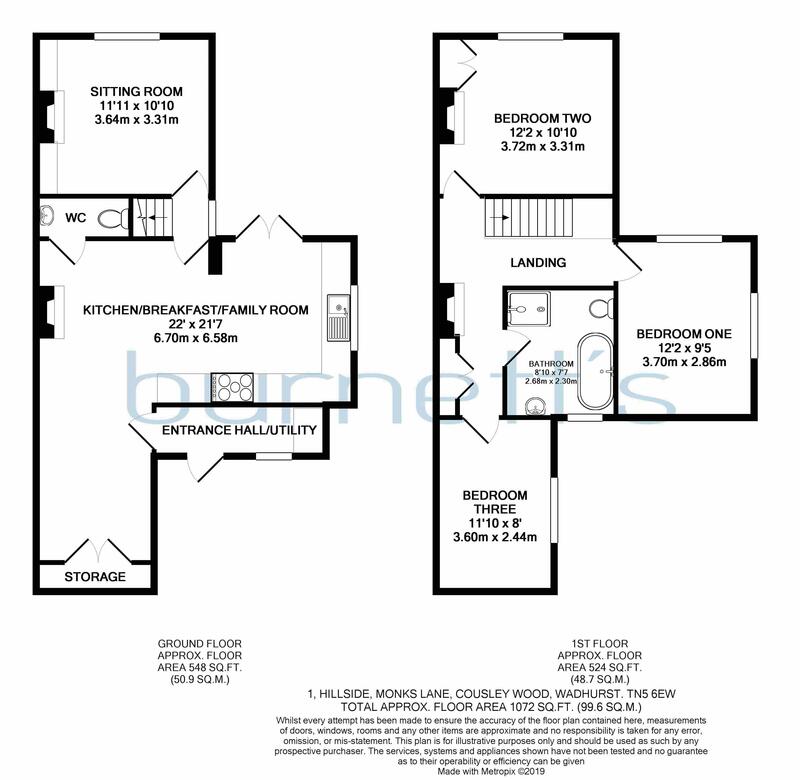 The master bedroom is a double aspect, vaulted bedroom with views across to Tunbridge Wells and also down the garden. 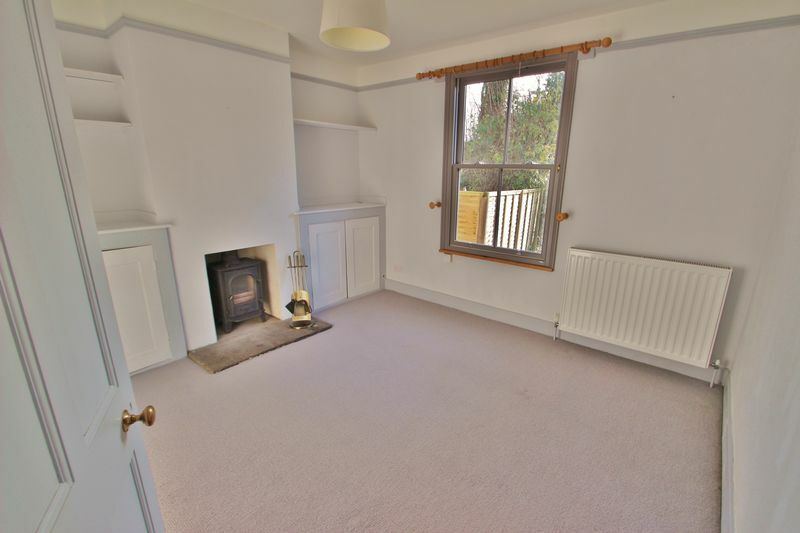 The second bedroom enjoys a fireplace, fitted wardrobe and window overlooking the garden and the vista beyond. 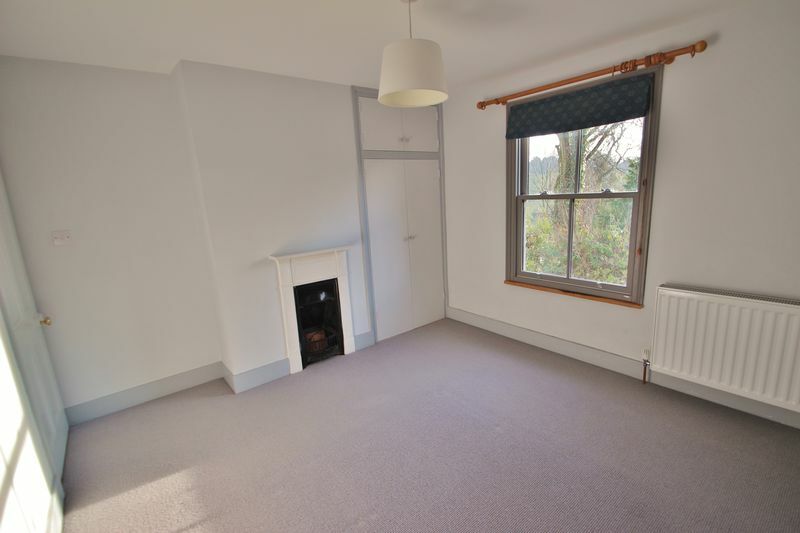 The third bedroom enjoys views to Tunbridge Wells. 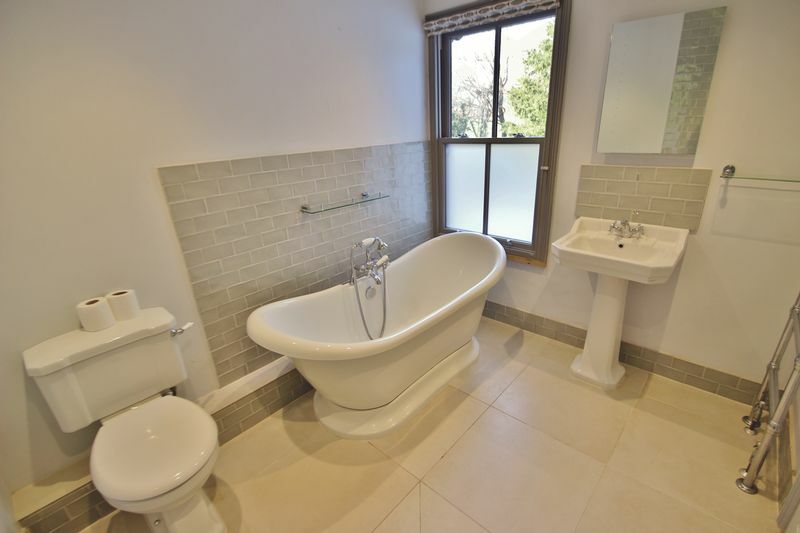 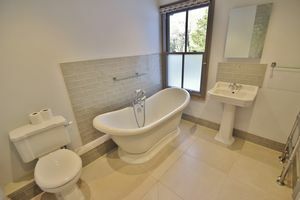 The bathroom provides a stunning room, with modern slipper style bath, with WC and basin, plus an over-head shower, with a wet-room style drain, stone tiled floor and partially tiled walls, plus a window to side. 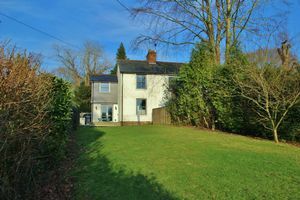 Outside, there is parking to the front, which is fence enclosed, and there is also a fence enclosed oil tank, and an external boiler and bin store to the side of the house. 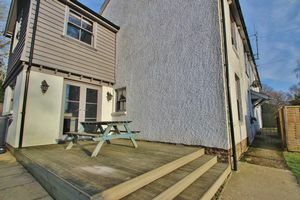 The rear garden is fence and hedge enclosed, with a side gate and path from the lane, plus the area of decking immediately behind the kitchen which is ideal for a table and chairs. 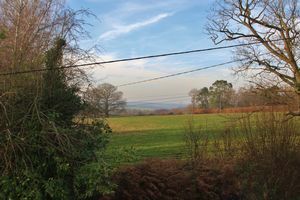 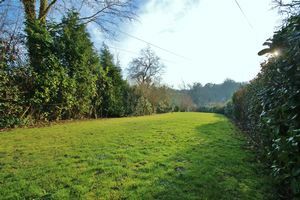 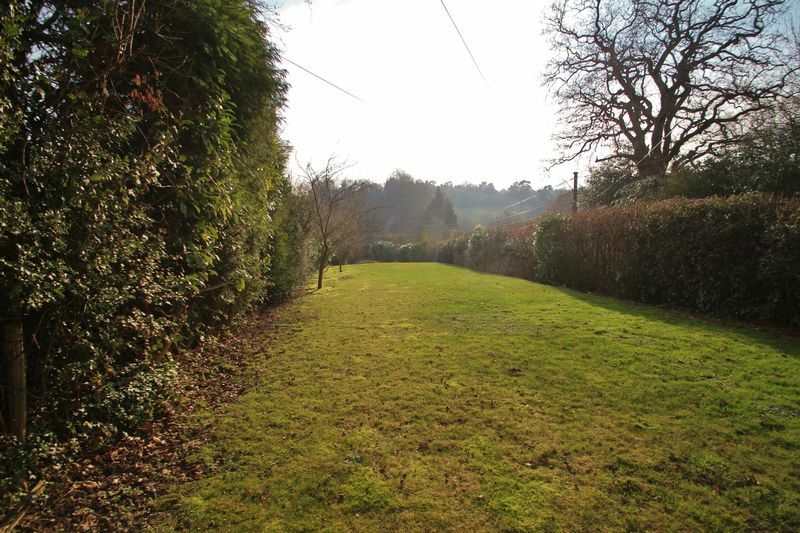 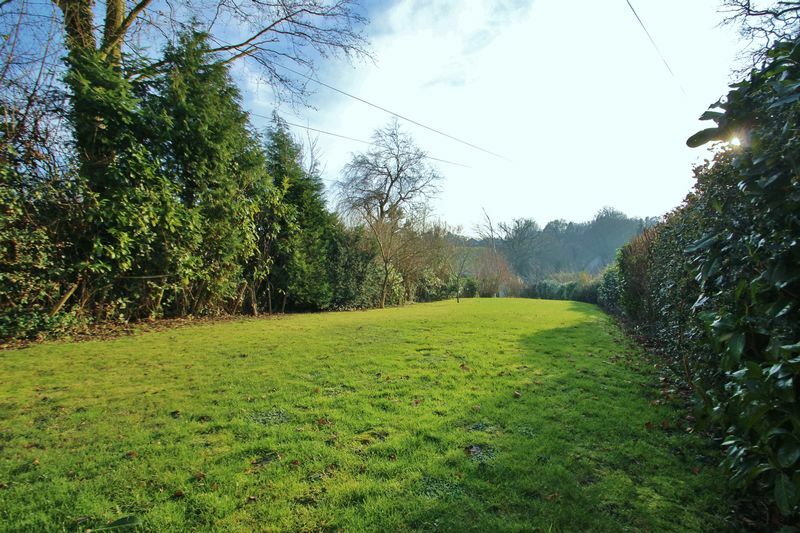 The property is located a few miles from the centre of Wadhurst, down a pretty Country lane, within striking distance of The Old Vine Pub and footpaths to Bewl Reservoir. 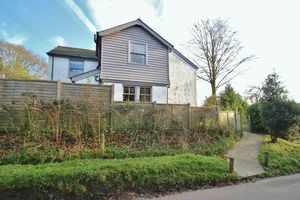 Wadhurst is a very pretty and characterful village with a pretty, predominantly Period High Street in an Area of Outstanding Natural Beauty which has much to offer. 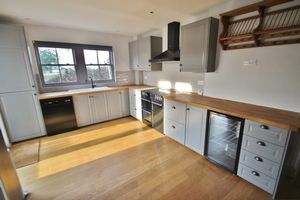 From a shopping perspective there can be found a very good and newly opened local supermarket, a family run butcher’s shop, chemist, delicatessen, a high quality gift shop and ladies outfitters, an excellent library, Post Office and Book shop. 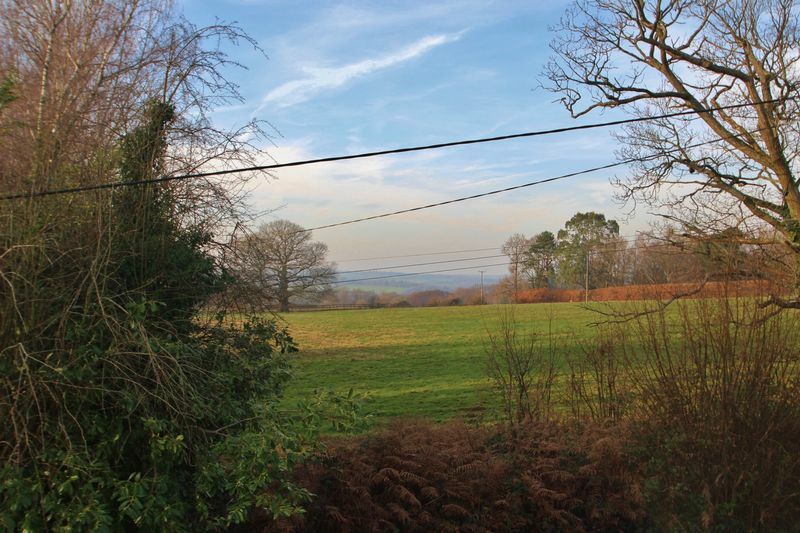 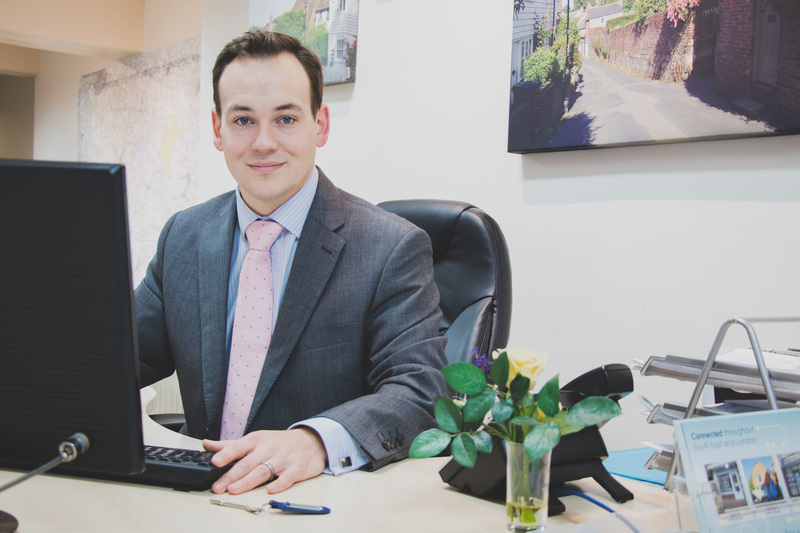 Wadhurst also benefits from a very good local Doctor’s Practice and Dentist.